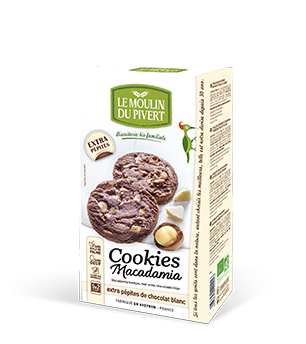 Fall for, bite in and succumb to these delicious chocolate chocolate chip cookies. 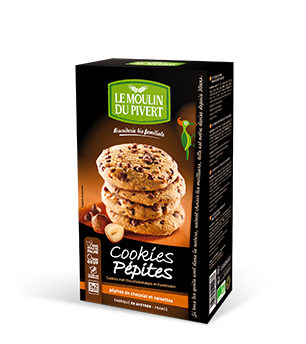 But what makes them so irresistible? 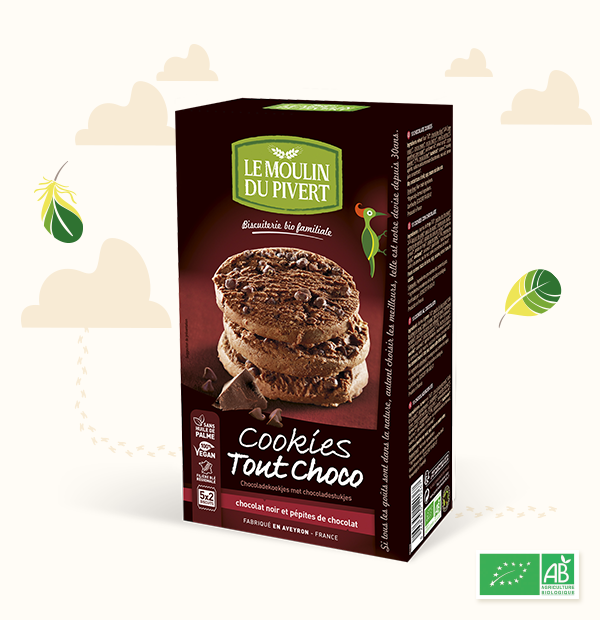 The secret of these all chocolate cookies is the tasty mixture of wheat flour ground at the Montricoux family mill (Tarn-et-Garonne), with butter, fair trade unrefined cane sugar and especially very good organic chocolate from a fair trade approach. 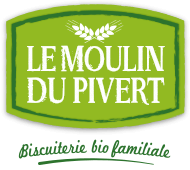 Let yourself be seduced and enter the sect of Le Moulin du Pivert! 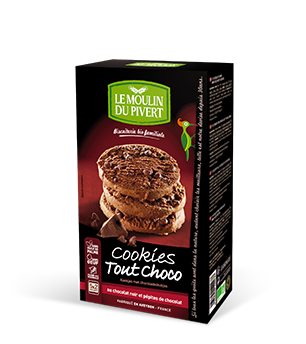 Wheat flour* T65, chocolate chips* 24% (cane sugar*, cocoa mass*, cocoa butter*, vanilla extract*), unrefined cane sugar*, sunflower oil*, wheat syrup*, cocoa powder* 2.9%, cocoa butter*hazelnuts*, caramel*, raising agents: sodium and ammonium bicarbonate, sea salt, lemon juice concentrate*. 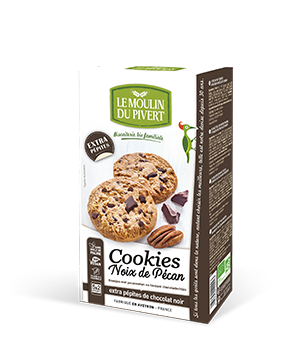 "Choose our delicious cookies but don't forget to exercise to stay fit!."